A Diversity of Voices Representing the Midwest--and Superheroes Too! Storm Cellar, a quarterly literary journal based in Champaign, IL., comes to its readers with the intention of publishing writing that is, in their words, “un-boring.” Open to oddities and experimentation in any form, the work within this issue has a balance of poetry and prose, including some great ventures in flash fiction, creative nonfiction, and even a list here and there. Form, though, feels secondary to the journal's main success, which is its ability to step outside the box and present work that is decidedly different. The magazine itself is a good-looking though happily utilitarian piece—at 8 ½ x 5 ½, it’s actually nice to hold and read, and has the substantialness and weight of a book worth reading. Glossy, well-colored art crowns both the front and back covers. It’s lovely to see that the editors have relegated the journal's name and volume number to two small corners so as to let the beautiful artwork do it’s thing. 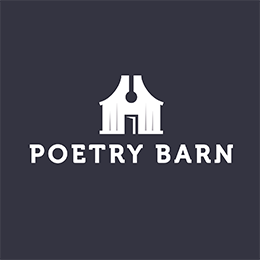 Storm Cellar mentions in their calls for submissions that they are interested in work that connects the reader (however tenuously) to the Midwest. Judging from this issue, they have indeed accomplished that goal while managing diversity within the intentions and narratives of each piece. The collected works range in topic from a young girl whose unremarkable adolescence is overwhelmed by her unnaturally growing pubic hair (Jennifer Caloyera’s "Unruly") to a brilliant merger of the American Dream, X-Men, and the struggle of mental illness (Sjohnna McCray’s "The X-Factor"), but all somehow manage to capture the essence of the earthiness, the hands-on feeling, and the genuineness that define the Midwestern experience. Sensory imagery resounds throughout poetry and prose alike, and readers will find it difficult to get through passages like “He...walked long and steadily into a weed field unable to see what he was actually stepping into, getting into...partially hypnotized by the smell of pollen and fertilizer and soil soaked by humidity, to see, surrounded by darkness and obscurity, a full moon pulsing in blood red” (Philip Kobylarz, "Preaching to the Converted") or “My feet kick up cold spray onto the backs of my legs from the shattered puddles on the path, and I head back towards my apartment where there is a pot of something warm simmering on a low setting, smelling of smoked chipotle and cornbread” (Jennifer Kovelan, "Winter Clutch"), without themselves feeling an ache in their bones of where they’re from or what world they feel at home in, wherever that may be. Beyond the experience of location and home that the magazine has accomplished, Storm Cellar should also be making a name for itself as a conveyor of candidness and authenticity. Despite plots of the supernatural or heroes in masks appearing in many if not most pieces that appear in this volume, the collected works manage a veracity that will ring true with human experience. Nowhere does one feel swept up in the attempt of literature for literature’s sake— there is none of the distance and density of what seems to be trendy in writing, pushing readers away from the core of familiarity. Instead, the collected pieces are all inviting and open. Every piece here offers enjoyment and connection. Though visual art is few and far between as well as in black and white within the pages, the chosen pieces represent the oddity and experimentation of the written work well. Readers will do well to stop between stories and take a look. Readers and submitters alike will happily note that Storm Cellar’s contributor page is as diverse as its collected pieces—though many bios list MFAs and works in various other literary magazines, some don’t at all and some mention occupations and paths that seem to have no association to writing at all. Basically, it’s clear that all work appears on its own merit and capability to fit within Storm Cellar’s particular niche, which is well-defined and well-executed. Writers who compose with clarity and honesty while looking to discuss the supernatural, strange, or uncommon in any form, this one’s for you.